Absolutely! In some shape or form, flossing is essential in keeping the mouth and the rest of your body healthy! As a hygienist, I have heard almost every excuse as to why people don’t floss, and trust me, I understand! 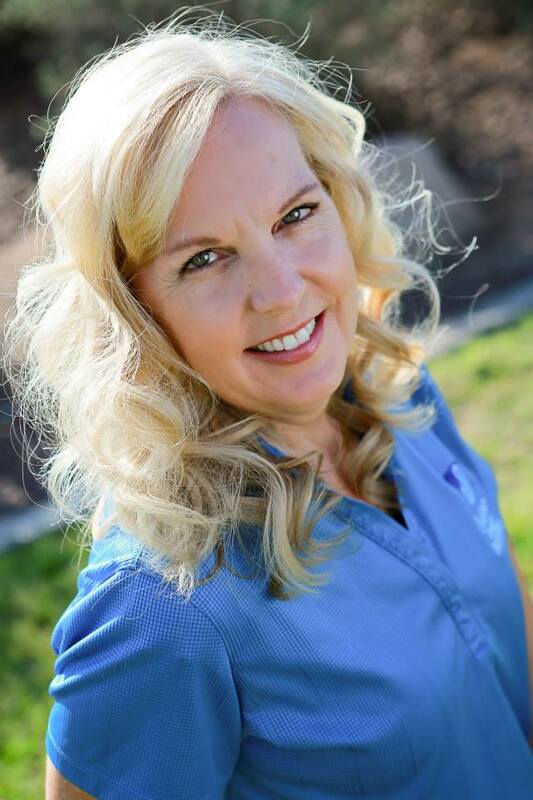 From the “I’m too tired at night” to the “I just don’t have time” or the “I just forget to,” my job today is to try and make it a little simpler for you to want to floss and to help you understand why we should floss. 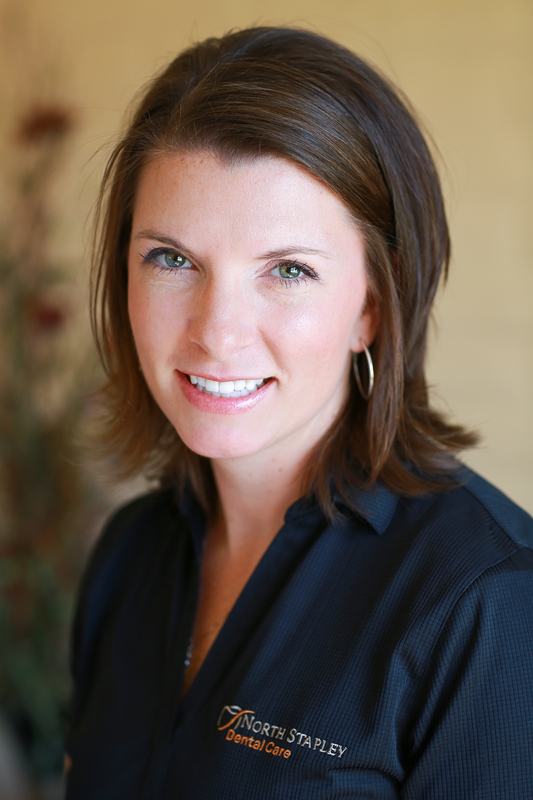 As a mother of 4 little ones, I understand that flossing isn’t a priority somedays….getting showered is. But with that, let me just say, flossing really is something that you don’t see the immediate results from, but in 20 years when you have your teeth still and you are smiling at their graduation with all your pearly whites, you will thank me. So, let’s start with answering the basic questions about flossing….WHY should I floss? I brush really well!Brushing is a wonderful thing, and we are encouraged to do it twice a day, for two minutes with a fluoride toothpaste. What most people don’t realize is that brushing only reaches that tops, outside and inside surfaces of the teeth. But how to get inbetween? There really isn’t a substitute for flossing, sorry to be the bearer of bad news. Rinsing with mouthrinse or using an electric toothbrush will definitely help with keeping the mouth cleaner however, it is NOT a substitute for flossing. Plaque and bacteria form on every surface in the mouth, including the tongue and inbetween the teeth, therefore, you have to clean every surface of the teeth, not just the ones you can see. The tongue, saliva, and brushing take care of the plaque on most surfaces of the teeth, but floss truly is the only way to get the sticky plaque off the sides.The idea behind flossing is that as long as you disrupt the bacteria in the mouth once every 24 hours, you prevent it from hardening and becoming tartar. Flossing is MOST effective just before or after brushing at bedtime but really….you can do it any time of the day! Stuck in traffic? Floss. Waiting to pick the kids up? Floss. Going for a walk? Floss. Any time is a great time to floss! When you floss, it prevents Gingivitis (inflammation of the gum tissues), bleeding gums, bad breath, and will make easier dental appointments! The more you floss, the easier it becomes and the less your gums will bleed. It’s kind of like riding a bike. The first time you get one, you’re a little shaky but with practice you’ll be jumping off curbs in no time! A lot of times people don’t floss because their gums bleed. That is because the gum tissue in that area is unhealthy so the body sends more blood to that area to help it heal. When your gums bleed, and the bacteria from the plaque and tartar are present, that bacteria gets into your bloodstream it is carried throughout the body increasing your chances of heart disease, compromising your immune system, and possibly causing an infection in the lining of your heart, which can be deadly! So, the more you floss, the healthier your gums are and the less they bleed! So now that we know why, let’s focus on HOW to properly floss…. The type of floss you choose is up to you. My personal favorites are Glide floss and Oral-B Satin floss. You may need to try a few different types to find the one that’s right for you. But don’t give up! It does get easier. Flossing looks simple, right? But what if you don’t have the perfect and easiest mouth to floss? Or you hate how the floss cuts off your circulation in your fingers every time? When you walk down the dental isle in any store there are so many aides to assist you, so which one is right for you? Hopefully you have already asked your hygienist this question but if not, here are a few things for you to check out the next time you are perusing the dental isle. 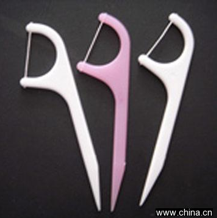 Several of my patients enjoy using floss picks. These are a great way to start your day. They don’t cut off your circulation and are totally disposable. These are great to keep a pack in your car or purse when you’re out and about. And you can find all kinds of cute designs for your kids! Kids don’t usually become proficient at flossing until 10 or 11 years old. It’s never too young to start them on flossing. They’ll thank you later! 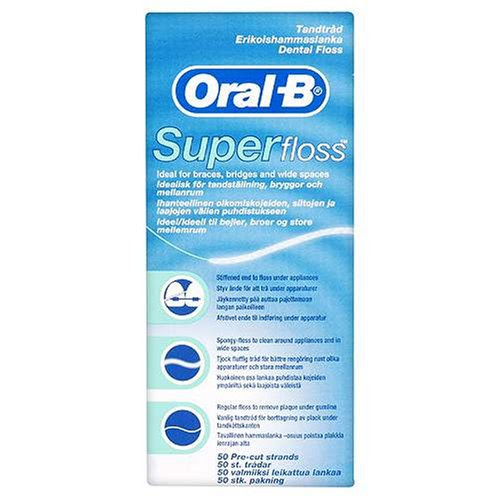 For those with braces, bridges, or large gaps between their teeth you may want to try Oral-B’s superfloss. It is a piece of floss that has one stiff end, a thicker, yarn-like middle section, and regular floss at the end. It’s hand to floss your thread through those brackets, bridges, permanent retainers, and then use the floss width that fits the area. This is a favorite of mine. Also for places that have a little bit of a space, braces or bridges, is the interproximal brush. Some are disposable, some are reusable, just check them out and decide which one you would like. But these are great for teens who get something stuck in their teeth at school and don’t want to carry a toothbrush with them. Or for men just before business meetings. And of course, there are the rubber tips toothpicks. You can go back to old school and use a regular wooden toothpick if that’s your preference but these are great. They are small, disposable, and awesome for on the go. They have a flexible rubber tip you can get inbetween tight spaces, permanent retainers, and brackets. Check them out, you may like them. I know that there are several other gadgets out there but these are just a few of my personal favorites. If you see one you like, ask us about it and we’ll do the research for you to see if it’s the best one for you! But no matter what you do, just be sure that you do your best and remember what Dory from Finding Nemo says, “Just keep flossing, just keep flossing, flossing, flossing…..” Or was is swimming?